Our members build upon the ethical teachings and philosophy offered through the dramatic presentation of the individual degrees. 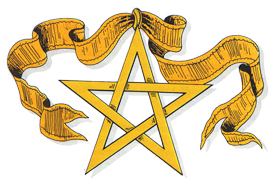 A man interested in becoming a member of the Scottish Rite must first become a member of a Masonic Lodge, receiving the First (Entered Apprentice) Degree, the Second (Fellowcraft) Degree and the Third (Master Mason) Degree. As a Master Mason in good standing, he will start his Scottish Rite journey with the Fourth (Secret Master) Degree and continue through the 32nd (Master of the Royal Secret) Degree. These degrees are portrayed as dramas, presented in costume on stage, taking you through history from the completion of King Solomon’s Temple to its destruction, rebuilding and beyond into the time of the Knight Templars and the Crusades. The Degrees from the Fourth to the Fourteenth, comprising the Lodge of Perfection, and being a continuation of the three Degrees of the Blue Lodge, have their inception in the Old Testament and are called the Ineffable Degrees. They teach truth, industry, honesty, benevolence, justice, toleration, patriotism and love of country. Each individual Mason must discover the secret of Masonry for himself by reflecting upon its symbols and a wise consideration of what has been said and done in the work. We receive as much of the divine light as we are capable of understanding. God has arranged His great purpose so that man has a work to do, a duty to perform to help the great plan for enlightenment and growth. 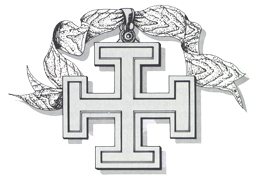 The degrees from the fifteenth to the eighteenth constituting the Chapter of Knights Rose Croix are historical and religious. They embody the period of the world in which they were written, and apply with equal force today. They teach war against ignorance, intolerance and error, and that the chief stumbling block in the way to success is the indifference of its members and the world; every noble heart is God’s temple and we should labor to establish the reign of love and peace thus building a lasting temple of God. John the Baptist taught creeds older than Christianity, which must have belonged to the sect of the Essenes, very similar to Christianity. The Essenes believed that truth was scattered through the world in different sects. Light was the symbol of good; darkness was evil. In all times truth has been concealed in symbols. 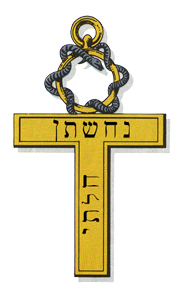 The cross has been a sacred emblem of earliest antiquity among many nations. The rose is a symbol of dawn, of the resurrection of life. Together the rose and the cross represent the dawn of eternal life. The Degrees from the Nineteenth to the Thirtieth, representing the Council of Knights Kadosh, are philosophical and chivalric. They teach liberty, fraternity, and equality applied to our everyday life. The world will judge us by our acts and Masonry will be judged by the character of its members. Be modest and humble, speaking only of the good in mankind and forgetting the evil and practice of charity and scorn the base and selfish. Truth and honor are more to be cultivated than the gathering of wealth and power. Combat arbitrary and unscrupulous power and all influence which would keep the people in ignorance. In ancient times, our Brethren met to redress wrong and defend the helpless; Masonry today has the same great mission. The Thirty-first and Thirty-second Degrees are the last of the four Coordinate Bodies and are official and ceremonial degrees. They are the culmination, the summing up as it were, of all the previous degrees. The Royal Secret, like the occult science of the ancients, is concealed even here, but remember, “Faith begins where reason sinks exhausted.” The star of hope shines for us as it did for the Wise Men of the East over two thousand years ago. Today, as in the first days of creation, good and evil, right and wrong, justice and mercy, balance each other to teach us to remember ourselves as immortal souls, retaining for each other respect and charity while slowly climbing to that state of perfection — the final goal of all! 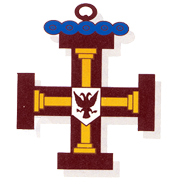 The Knights of St. Andrew is one of the most visible organizations at the Omaha Valley Scottish Rite, with their distinctive glengarries. 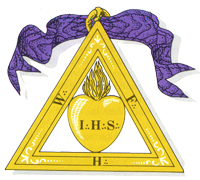 The Knights of St. Andrew (KSA) was chartered in 2001 by the Wichita, Kansas Scottish Rite. Their mission is to engage 32° "black hat" Scottish Rite Masons in the Valley and develop leadership among the members. Only 32° may serve as officers and vote, though Emeritus (33° and 32° KCCH) Masons are welcome to join, participate (as non-voting members) and volunteer. Throughout the year, KSA members volunteer during weddings or rentals to greet and welcome guests, tend bar, and bus tables after Lodge dinners or events. For volunteering at rental events, the KSA is paid $50, which goes back to the Valley in donations which have not been otherwise budgeted. To date, over $35,000 in donations have been made, including 3 defibrillators, CPR training, repairs to the historic 1914 grandfather clock, brass lights in the 33rd Degree Conference room, quartz countertops for the reception desk, and much more. Each year, the KSA honors a member(s) who has distinguished himself through extraordinary service to the fraternity by awarding the Dennis P. Samuelson Service Award. Denny Samuelson was Venerable Master of the KSA in 2006, and this annual award recognizes Denny's extraordinary commitment to the Scottish Rite throughout his life. Unfortunately, Denny passed away in 2013. This award is his legacy to the KSA, an organization he loved. The title is tongue-in-cheek, but the Ducks have a significant purpose in the Scottish Rite. They provide services related to the staging of the degrees, to assisting the organized degree teams in the communication and exemplification of degrees and to other duties enhancing the proficiency, cooperation, fellowship and harmony of the Scottish Rite. The Order of the Ducks originated in Dallas, Texas, in the early 1940's. Omaha Valley members Jim Wolfe, 33° and Chris Nigro, 32° observed a Chapter in Guthrie, Oklahoma in 2012, and brought the idea to Omaha. This backstage crew mixes fun with purpose. Their titles range from Flight Commander, to Quill Driver to Quacker. They put a smile on the faces of all who encountered them.